Our skin changes as we age. It becomes less supple, thinner and dryer. 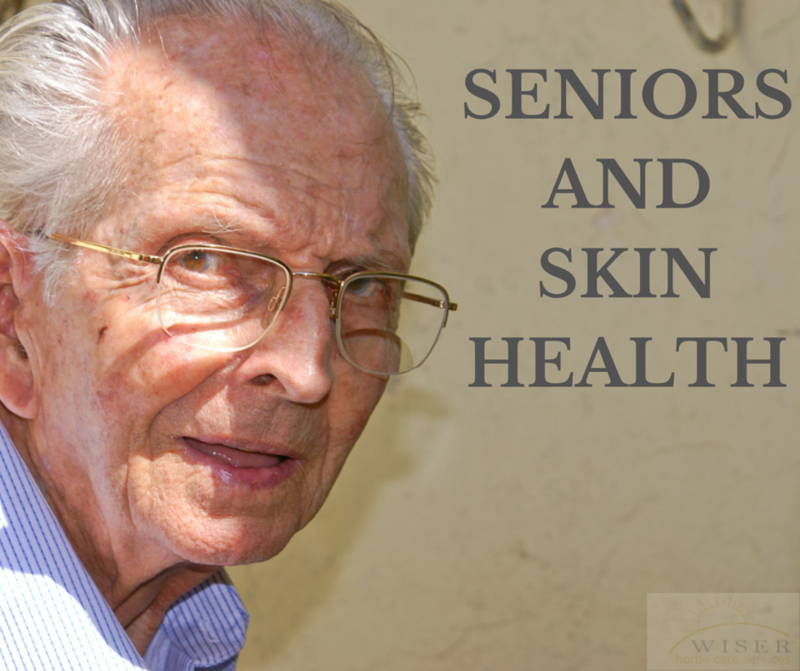 Because of these changes, seniors are more susceptible to skin infection and skin disease. Senior skin problems can range from mild issues like itching, scaling and mild dryness to grave skin conditions such as infection and ulceration. Infections happen when the skin becomes too dry and is more vulnerable for bacteria to penetrate. Another issue that senior face is that not only is their skin dry, it is also thinner and injures very easily. Once this happens, an elderly person’s skin then heals at a lower rate as well. Avoid taking hot baths and showering frequently, as this can actually agitate dry skin. Use only mild soaps and gently apply moisturizers to the skin after every shower or bath. Stay out of the sun. If you are out in the sun use a sunscreen that is broad spectrum, which protects for both UVA & UVB. Wear a hat and loose long sleeve shirt and pants. Wear a good pair of sunglasses that are labeled has blocking 99 to 100% of sunrays. Do not smoke or quit smoking. Keep properly hydrated by drinking more liquids that are caffeine free. Use a room humidifier during the winter months. Check your skin often. Look for changes in the size, shape, color, or feel of birthmarks, moles and spots. If you have any concerns see your doctor. Remember the skin is your first line of defense for health. Please educate yourself, so you can help educate the elderly in your life. They count on us to know ways to best protect them. If you still have questions and concerns about how to help your elderly loved one maintain their skin health please feel free to contact us. We can help your family establish a care plan to personally accommodate your loved one needs.